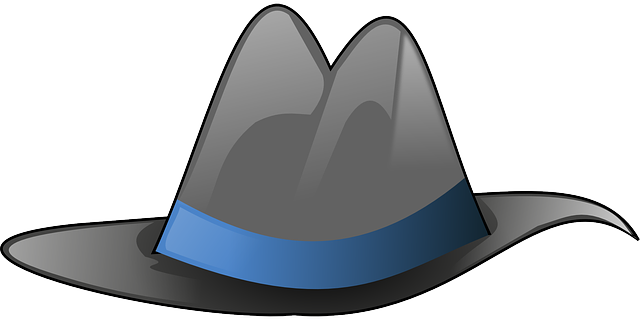 I take my hat off to everyone who played a part in UKOUG ’18 last week. I was the chap with the grey fedora who asked a question about techno-ethics at the end of most sessions, in case you’re wondering. Now that ‘Single Result Query’ is out the way, I’m delighted to be sharing my notes from the event with you all and hope they make for useful reading. I’d like to start by thanking UKOUG for putting on another great event. I was happy to find as many clashing talks as I did (an excellent problem to have) and am particularly grateful that so many sessions were geared to those of us who ‘only speak conversation techie’. The Tuesday night social was huge fun, too. If you read my preview pieces prior to the event you’ll know I attended on the Tuesday and Wednesday, but if you were in Liverpool on the Sunday or Monday do feel free to share your observations in the comments section or send me any blog posts you’ve done for me to share. I began on Tuesday with Kiran Tailor’s (Association of International Certified Professional Accountants) ‘Cloud Journey Stories – Unlock the Value from Your SaaS Data Using Oracle Cloud Infrastructure’. Those of you who know Kiran will already be aware of the extensive contribution he makes to the Oracle community, and those of you who don’t should definitely follow him on Twitter. His handle is ‘@iamkirantailor’. Kiran’s talk provided an excellent insight into the challenges faced by, and solutions needed for, a large organisation following a merger which has kept both previous brands alive. His introduction to OCI (and strikingly positive view of security in the Cloud) is critical to anyone with an interest in this area, and I encourage you to follow Kiran and seek his advice on making the most of OCI for your organisation. This was followed by John Hagerty’s (Oracle) Big Data & Analytics Keynote sponsored by Vertice Cloud. The key message from this talk was laid out on the first slide ‘Speed has become the necessary basis of competition – 79.4% of executives fear disruption from highly agile data-driven upstarts (New Ventures Partners)’. Oracle has made exciting advancements in speech command built around natural language with synonyms to account for the use of different terminology by collaborating parties. Most importantly, John raised an issue which has always been close to my heart, that ‘All of us, whether we mean to or not, will naturally look for data to support our hypothesis. What we need is a system to spot in the data that which isn’t being looked for’ – I also appreciated John taking the time to answer my question suggesting any technology can only be as impartial as its creator but feel such a topic would require 45 sessions as supposed to 45 minutes! My next talk was Graham Spicer’s (Splash BI) ‘Apps Reporting & BI in the Cloud – Still looking for that Silver Lining?’ and based on the turnout it appears many attendees were! Graham openly kept the ‘sales pitch’ aspect of his presentation to a minimum, but for anyone exploring such a solution for their business Splash’s USP is offering a single product for Excel, Mobile and HTML rather than separate products for each. Anyone with ‘Cloud Concerns’ should reach out to Graham for an informal discussion – he held an excellent Q&A at the end of the session which I can testify was impartial. Tuesday afternoon also included the very insightful Mike Durran’s (Oracle) ‘Oracle Analytics Cloud – Everything you’ve ever wanted to know’. Mike made use of an excellent case-study in which the NHS identified £1.2Billion in potential savings by optimising treatment and reducing less effective medical procedures. I am sure all will agree this is an excellent private-sector development with far-reaching public benefits. If you haven’t yet it’s worth checking out Oracle Synopsis for Mobile, too – it’s free! I followed this up with Tony Cassidy & David Heraty’s (Vertice Cloud) ‘OBIEE & Essbase Migration to OAC & ADW’. Tony has put a great deal into knowledge sharing with the Oracle community and in this talk actually presented on how Vertical completed the world’s first OAC implementation with a phased migration from OBIEE and Essbase to OAC & ADW, which was also integrated with PBCS. Tony and David are always happy to share Vertice’s learnings with all. David Kurtz’s (Accenture) kicked off ‘How not to build a(n autonomous) Data Warehouse’ with the comical truism ‘I felt I had to say autonomous somewhere or nobody would come’ before launching in to an in-depth session advising on how to prevent problems occurring with your Data Warehouse (be it on-prem or Cloud-based). The key message remains ‘Tell the optimizier the truth’. After Tuesday night’s social I began Wednesday morning remarkable hangover free (not the first time in my life I’ve felt different to those around me) and went straight to Brad Winsor’s (Splash BI) ‘Workforce Analytics – The Earth isn’t flat, neither is Your Workforce Structure!’ I found myself agreeing with Brad’s assertion that ‘Hierarchies aren’t a bad thing, even if you don’t want your company described as hierarchical’. Reach out to Brad for more information on how Splash BI can help you monitor the overall health of your organisation and use data to help leaders make better decisions. From here I went to Edelweiss Kammermann’s (IT Convergence) ‘Simplifying Management & Data Analysis with Oracle Autonomous Datawarehouse Cloud & Data Visualization’ and was extremely grateful to Edelweiss for explaining a very technical matter in a language I could easy understand. Edelweiss surmised Autonomous Datawarehouse Cloud as ‘Cloud Service for DWH, based in 18C & Exadata. It’s essentially a Cloud Service on OCI which requires no Admin/Tuning, encrypts saved data, and offers Online Scaling CPU/Storage’. Edelweiss also explained that at this stage of the product’s life some restrictions are being removed, although heavy modification is advised against. Next up was Anthony Heljula’s (Peak Indicators) ‘HR Analytics for 65,000 Users – The HSBC Story’. I always enjoy attending Anthony’s talks and it was great to learn about this 2018 go-live with a 65,000 user HR solution. The project had to contend with moving from Peoplesoft (On-Prem) to Success Factors (Cloud) whilst growing from 1,500 to 65,000 users without increasing operating costs. The team ascertained that a pure SaaS solution would not be suitable for HSBC’s needs and opted instead for a Private Cloud including a custom built Data Warehouse and Analytics solution which Peak Indicators were chosen to host and deliver. Tony’s message for a Cloud Transformation is clear, chiefly ‘the need for the right teams in place working closely together. Data Migration & Cutover strategy is key and with a quarterly upgrade path you need to be ready to operate at this pace’. For all the challenges (losing direct access to databases is highly probable and API’s may not even support custom fields) HR future proofing is attainable – You can do it, and the result will be a richer user experience which is cheaper to run and operate with no lengthy freeze periods. Speaking of quarterly upgrades, I also went to Kevin Osborne’s (ONS) ‘Life in the Cloud, a User Experience of Support & Upgrades’ which included a good overview of how an organisation should prepare for four mandatory upgrades per year. Kevin also sang the praises of Certus Solutions (Now part of Accenture if you somehow missed it…) and invited questions from the community so do reach out to him if you’d like to know about how the ONS overcame their challenges and how Certus helped them do it. I saw Tony Cassidy’s (Vertice Cloud) for the second time on Wednesday when I attended ‘PaaS 4 SaaS: Customer Success in Analytics & EPM at An Port, iCabbi, Abbey International Finance’. Tony is an excellent presenter and has very kindly made the slide deck containing these three success stories publicly available, so I won’t attempt to sum things up as concisely as he did and risk doing the presentation a disservice. Stewart Bryson’s (Red Pill Analytics) ‘DevOps for the Analytics Cloud Using the Developer Cloud Service’ included the indisputable soundbite ‘Developing your RPD in Offline Mode is like spending hours writing a SQL script but never actually executing it’. Red Pill Analytics offer a free product called Checkmate which is worth checking out if you’re interested in DevOps for Oracle Analytics. If your firm is seeking to obtain more value from social media I’d also recommend checking out ‘Trinity’ – Red Pill’s product which collates social media data. The ‘Final talk on the final day’ according to the speaker, Peter Scott’s (Sandwich Analytics) ‘Data Profiling is OK, Really it is’ began by stating that Business Intelligence has always been about segmenting and aggregating data to build some form of view of the world and the fact that so much (personal) data is now stored online has made this too easy. Peter then explained that his talk would actually focus on ‘data profiling’ in the data warehouse design sense of the term, raising a few smiles in the room. His key point was the need to create a ‘Super Model’ since data needs to be profiled in order to be properly modeled. It’s amazing to think that was the end of my fourth UKOUG but I headed home with a book full of notes (and quite a few free pens) and lots to think about. I understand that the venue is changing again next year and am looking forward to all the talks to come, plus Open World and a SIG or two in the meantime. It was suggested to me that I sign off with a hat-themed pun but I don’t feel like that’s how I want my article or my Oracle year to be capped off. As the largest Oracle User Group in the UK, we are a hub for connecting, learning, sharing and shaping conversation for the benefit of the community. Made up of over 8,500 people, the user group consists of Oracle Customers, Oracle Partners and the Oracle Corporation, creating an eco-system where all can benefit. UKOUG provides relevant products and services through membership benefits, designed to help you maximise your return on investment in Oracle. We're passionate about connecting you with other Oracle users and solution providers, in an environment where you can educate, innovate and inform. So you're there a year early of ukoug 19.. initial thoughts?